Contrary to some misperceptions, Michigan’s K-12 achievement gap spans racial economic and racial spectrums. It's not just poor and minority students who are failing to learn. “White, black, brown, higher-income, low-income – it doesn’t matter who they are or where they live, Michigan students’ achievement levels in early reading and middle-school math are not keeping up with the rest of the U.S. and world,” stated the Education Trust-Midwest, a Michigan education data-tracking and reform group. In 2003, Michigan’s white higher-income students ranked 17th in the nation in fourth grade reading. By 2014, they ranked 45th. By 2015, they ranked 50th. Overall, Michigan fourth grade students dropped from 28th in reading in 2003 to 38th in 2013 and 41st in 2015. Michigan is one of only five states that declined in actual performance in reading since 2003. Experts agree that early reading is critical to success later in life, as reading proficiency is tied to overall academic and vocational achievement. Conversely, early illiteracy is linked to higher dropout rates and a greater probability of incarceration. Similar problems persist in eighth grade math performance. Michigan’s nationwide rank fell from 34th in 2003 to 38th in 2015. Higher-income eighth graders dropped from 34th in 2003 in math to 41st in 2015. Michigan’s minority students continue to face a considerable K-12 achievement gap. Just 9 percent of black students were proficient in fourth grade reading in 2015, compared to 32 percent of white students. Michigan’s African-American fourth graders rank last in the nation in reading. Michigan’s low-income eighth graders rank 46th in math. K-12 achievement deficits show up in costly ways down the road. High school grads who enroll in college without basic skills proficiency must take remedial coursework – at a cost to students, schools, and taxpayers of up more than $100 million per year. Twenty-seven percent of Michigan college students take at least one remedial college class. That’s projected to reach more than 50 percent by 2030 without education reforms. Remediation rates for African-American students already exceed 50 percent, reflecting a steady upward climb since 2010. For global perspective, Michigan could look to Massachusetts, which ranks just behind high-achieving nations like Japan and Singapore in eighth grade math. Michigan eighth graders trail even eighth graders in Slovenia and Lithuania in math. Michigan could also look to Tennessee – a state with comparable demographics. Tennessee fourth grade African-American students gained 11 percentage points in reading from 2003 to 2015. Massachusetts fourth grade African-Americans gained 10 points. Across the nation, the gain was 9 points. In Michigan, it was just 4 points. Tennessee was far behind Michigan in math for all fourth graders in 2003, but by 2013 it had raced past Michigan, ranking 37th to Michigan's 42nd. It led the nation in highest improvement in several key subjects. 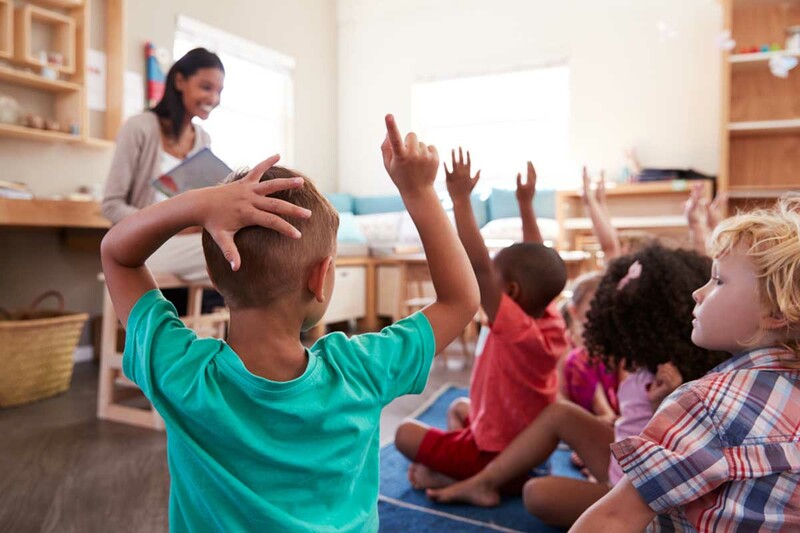 Analysis by Education Trust-Midwest attributed much of its progress to a statewide teacher evaluation system, major investment in a statewide performance data collection system and a rigorous program of teacher training. In some respects, Michigan’s elected leaders have, in recent years, attempted to take the long view in addressing education performance. They approved the nation’s largest expansion of public preschool, enrolling thousands of additional four year olds to get a jumpstart on learning. They also approved a law requiring students to proficient readers before earning advancement to fourth grade. Michigan’s recent trend of K-12 investment is near rock bottom nationally – down 7 percent between 2005 and 2014 when, nationally, it rose 3.6 percent. With fewer Michigan college students pursuing teaching, recruiting and retaining high-quality teachers is a future concern. Teacher pay in Michigan is 11th highest in the nation. But the state’s student-teacher ratios are eighth-worst in the country – meaning students in other states may get somewhat more individual time and attention from teachers. Much education policy attention in Michigan centers on adults rather than students… School finance debates… Teacher evaluation debates… Teacher pension debates. K-12 per student expenditures are given as $10,799. In Grand Rapids, Grand Rapids Public Schools budget on their website totals approximately $320 million in expenses and just over 16,000 students, so $20,000 per student. And that does not include State, Federal and Kent ISD spending on GRPS students not included in GRPS budget. Additionally, MSPERS funding make up contributions are not being made. So total costs are closer to $25,000 per student. What other facts have not been checked for truthfulness? So what were Michigan schools doing in 2003 that they are doing differently now? The US invests more money in K-12 education than almost any of the other OEDC nations which we compare so unfavorably. Why? What are they doing that we aren't? The rest of the OECD countries do three major things differently than we do in the US. The first is that most students in schools beyond the elementary / PreK-6 level are "tracked" by academic achievement. In some countries, specialized schools for unusually high achievers starts as early as age 6. The second notable thing that the rest of the OECD does differently from the US is that sports are either based in the community, not in schools or are limited to intra-mural teams. In every case, sports are a much more minor concern of school administrators, use simpler and cheaper school facilities, and do not dominate school grounds or school funding. Athletic competitions between teams from different schools are almost exclusively limited to private-paid schools and universities. But universities in the rest of the world have nothing like the Big 10, Pac 8, etc. The third thing common to successful OECD school systems is a reliance on nationally standardized tests to determine when students are ready to advance to the next level of schooling, and on which track. These "high stakes" tests are not administered to each student each year, but are given two or three times in each student's career. Most frequently the tests are given as students are moving out of primary or elementary school, at age 14 to 16 when students move out of "universal" schools in their country and into apprenticeships, trade/tech schools, or university prep schools, and lastly for admission to universities. Although many, many educators have criticized Michigan's 3rd grade reading law unmercifully, one of the ways that Tennessee dramatically improved their education achievement levels was to require kids to be reading at grade level or tested for special education eligibility in order to move up from 3rd grade to 4th grade. Yes, it disrupted elementary schools when standards were first enforced. Yes, it affected minorities and poor families more frequently and more severely. Tennessee went on to require students to be working at an 8th grade level or in special education / support classes in order to move on to high school. A high school diploma in Tennessee means a lot more now than a high school diploma does in Michigan. There is no place in the skilled trades or the US armed services for those who can't read for information, interpret graphs and drawings, compose clear - if brief- reports on the status of their work, and handle math at the Algebra I / Trigonometry level. High schools that graduate students who have not achieved these minimums do them no favors. Instead the students who want to become auto mechanics, die makers, HVAC techs, nursing assistants and so on must spend their own, the governments' or their parents' money on remedial classes at Community Colleges or (mostly for-profit) trade schools when they should have learned those things in Michigan's K-12 school system for free. There should be no place in Michigan's state-supported universities for students who have not achieved a minimum of 11th grade skill levels in reading, writing, and math before admission. In almost all cases, students seeking university admission should have standardized test scores (not GPA! ) in the top 25% of high school graduates. The problem with the budgets of Michigan's universities is not so much that state financial support has fallen in absolute dollars as that the increased support must be spread across so many additional students. And far too many of those additional students are only marginally prepared to do college-level work. The stats provided in the table do not match the stats in the Best Education report. For example, the Best Ed report (page 17) says 18.1% have at least a Bachelor's degree, but this table says 28.3%. Which is correct? It is not clear is the teacher salary numbers reported include charter schools. Given the push and greater influence of charter schools, it seems that the those salary and salary (and experience) figures should be considered. The "us" vs "them" mindset between teachers, administrators and the legislature I believe has greatly hurt the educational system in Michigan. When the legislature passes punitive anti-teacher legislation how are people going to respond in doing their job on a daily basis? I would suspect a lot of go through the motions and let me out of here at the end of the day attitudes. If someone feels disrespected with their job how much extra effort are they going to do? I suspect not much. Exactly! Evaluations are used against many teachers, a form of micromanagement and control over an educator's freedom (or lack of) speech. If one is not a "yes" person, they are out. We are no longer respected for our knowledge in the area we studied and practiced for decades. We are to do what we are told, and don't question it. The blue print program for rapid turnaround by Dr. Grant Chandler is a failure in my district. We had achieved not having a priority or focus schools and the superintendent brought the program to our district anyway. Our high school became a reward school on their own now that we have this program test scores have fell for the last two years not only in the high school but all schools. This program has torn into the morale of the staff. If this program is so great why does the state not brag about it? Not one word on here or in newspapers. One problem we have always had is transient students. Moving frequently does affect learning. A major factor in our failing educational system is that it is fraught with administrators who use evaluations inappropriately. Not only are some very dishonest about particular educators, using evaluations to eliminate those who speak up, but many are also manipulating the system to earn "rewards" for keeping narrow gaps between low and high achievers. Some districts are making sure they keep in place the "yes" educators that will not oppose administration, and some will lie and cheat on student performance. Sadly this seems to keep getting ignored as a major reason for educations demise, and educators leaving the occupation in droves. I am one of those educators. I was laid off from one district after reporting illegal activities, then left a second district along with 15 colleagues the same year. That number alone should raise a red flag, but it doesn't seem to make an impression. Nobody is asking the teachers why they left and no one seems to care to know the truths. Has anyone looked at the fact that online testing may be the reason for the drop? Kids need to read and write on paper. Solve problems on paper. The research shows this. The SAT is given on paper and most students do much better on that test. Best practices embedded in the standards require students to mark up the texts, write in the margins, solve multistep math problems on paper. This needs to be addressed ASAP. If the law says 3rd-grade reading must be proficient, ALL 3rd graders should be tested using a paper-pencil test. If the law says 4th-grade math is a milestone test, the 4th-grade math test should be given on paper-pencil. If 8th-grade assessments are key to funding and kids, the students should be given those tests on paper-pencil. Best practice and research says that if students learn via paper-pencil they should be tested paper pencil...If they learn via Cyber school, they should be tested online. Michigan's Department of Education needs to make the change ASAP to see real increases in the data. I am honestly surprised nobody is making the connection between Michigan's economy and values, and how it affects the families that stay or leave - and what that means for the achievement performances of those who remain. My former spouse is a computer programmer. One of the "good" jobs, right? Not in the early to mid 2000's. Programmers were being laid off in droves as work was being outsourced, and cheaper foreign replacements were being hired instead. After he was laid off for the second time, we had plans then to leave Michigan and move to one of the states that had a lot more work opportunities for programmers. The only reason we didn't, was because he took a 6 month contract job that turned into working as a military contractor, and that provided more job security due to the clearance needed and not being able to shift the work to foreign markets, or employees. But after 2007, I watched as the tanking economy cleared out a lot of the professionals that used to live in our neighborhood. Anyone with desirable skills and/or education could move to another state and get work if they were laid off, and they took their young children with them. They had to. Poverty affects children far more than moving. I'm now watching as the college-graduate children of my friends who didn't leave in the last 15 years, are choosing to work in other states too. The "brain drain" that has been happening since the 70's continues. For it to stop, Michigan has to be a place with a lot of opportunities for high-achieving young people, who will move here, or remain here, with their school-age children.